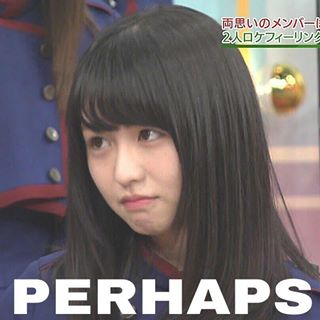 Hello Hello Hello I'm just going to separate my Keyaki OS from my 48G ones as before the 46 Fanfic thread was created I was putting my Keyaki OS onto my 48G OS Collection thread so I will put links to the two OS I've already posted. And I will link following fanfics in this opening post just to archive everything. Hello people! Sorry I haven't been appearing as much. I have like double digits in OSs I have planned and have started writing. But this will be a series where it will focus on each member's relationship with the central member... So I guess it'll be a 20 part series? The clouds cried, weeping tears, over and over again; trees waving as if its was some sort of personification of the event happening below. The once empty graveyard was now being filled with the Kanji Keyakizaka members, each of the twenty other members holding a single red rose. The melancholy was noticeable in some of the members, with some crying, and others just speechless. It was unexpected for them to have found out that one of their own had disappeared suddenly. Each of them wanted to spend their time with her individually; Not all of them have had the time to before. But with each passing day, the hints became evident. There was something wrong. The girl had suddenly gotten thinner, she looked paler. Everyone knew. That the sudden loss of their optimistic co-captain would have left a void that no one knew how to fill. I see YuukaNen suffering on the horizon. My heart... can't handle it. I'm looking forward to reading it. Nuuuuuuuu! You're right, my heart! Why does this keep on happening? Looking forward to see how it all started though. They say I'm a traitor. Everyday was spent running from the crazed eyes of what was my friends; the commander's demonic laughter echoing in my ears, the haunting images of violence covered my eyes, the smell of death enveloping my whole body. The dripping liquid down my sword, proved that I could rebel against the system, something not many did. I wanted to chase after you, Akanen… I wanted to show you what freedom was. I felt the pointed tip of a bayonet touch my skin. This is probably the end of my life. I feel like you make me realize how cool bayonets are. I liked this, but I personally prefer slightly longer fics as a minimum length. Maybe 500 words minimum? That way you have more room to develop the relationship between the characters. For example, I really want to know what the relationship between Techi and Akanen was. All I can do now is use my imagination.